Hello! 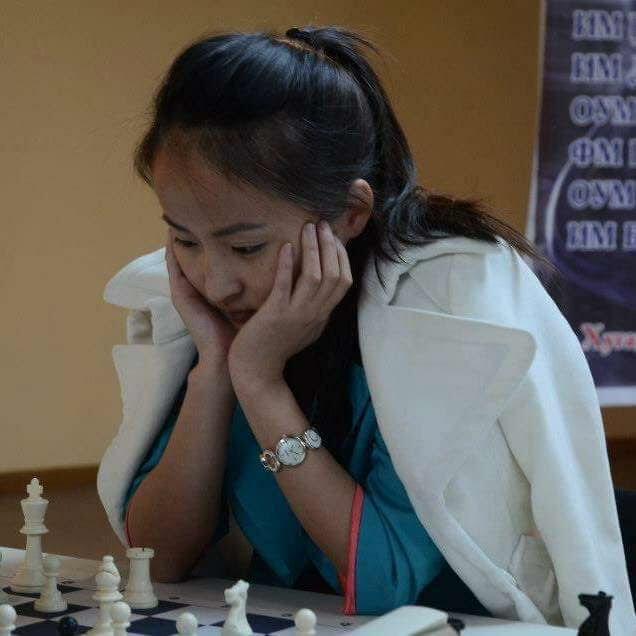 My name is Munkhchuluun Tsegmed, and I am a Women’s FIDE Master (WFM) and FIDE trainer from Mongolia. My first name is pronounced Moonk-CHU-loon in Mongolian, but you can just call me Moogii! Growing up in the capital city of Ulaanbaatar, I first learned how to play chess when I was 6 years old. My parents, who have no special chess background, taught us 5 kids. I was motivated partly to spend more time with my older brother, Batchuluun. Today, he is a 2500+ FIDE-rated Grandmaster and 4-time Mongolian national champion who plays professionally in tournaments all around the world. Mongolia only has a population of 3 million, but we have pretty good chess players: 4 GMs, 4 WGMs, 11 IMs, 7 WIMs, and many other world-ranked players. So the competition wasn’t easy. My first major tournament success was when I was 7 years old, and won the Bronze medal at the Mongolian Girls Championship. After that, I got more serious, and began studying chess two hours a day, with the help of my brother and later my high school chess coach. I won more Mongolian national scholastic tournaments, and also started competing internationally. I became a very aggressive attacking player, though I’ve mellowed and become more of a positional player lately. My favorite defenses are the French Defense and different variations of the Queen’s Gambit Declined. I usually play 1. d4 when I am white. One of the highlights of my chess career was competing at the Women’s Chess Olympiads in Dresden, Germany in 2008. I had a very strong tournament playing 4th board and actually earned my WFM title there. My most memorable game was my final round, in which I drew a Women’s International Master from Bulgaria after 80 moves. That helped the Mongolian team win first place in our division. Since then, I have continued to compete at chess, though my life has been very busy. I earned a Business degree from the Mongolian State University of Agriculture and worked at a bank after graduation for several years. 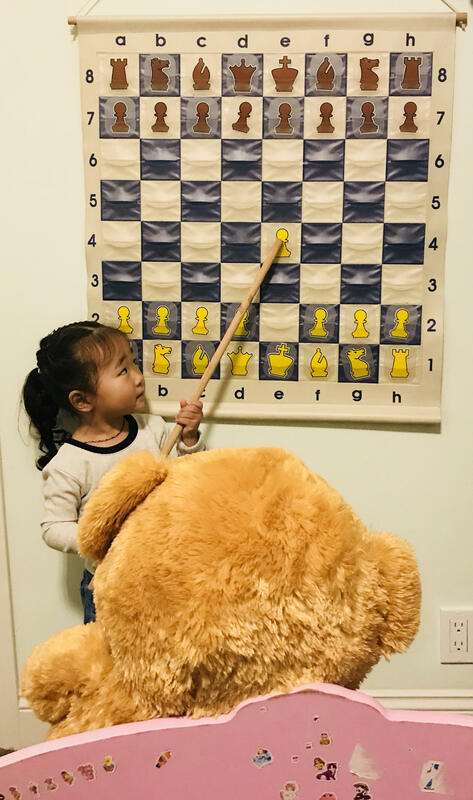 I also taught chess to kids, and have been busy raising my daughter (and teaching her how to play!). My husband, daughter and I moved to the United States in 2016. I have been teaching at BayAreaChess since fall 2017. My after-school classes include Franklin Elementary and McKinley Elementary in Burlingame, West Portal Elementary in San Francisco, and Redwood Elementary in Oakland. Teaching chess is the best job in the world. I love working with children all of chess levels and ages. It is amazing to watch them grow curious and hungry to compete and improve. I truly believe that chess helps kids develop important life skills such as critical thinking and how to be a good sport while winning AND losing. 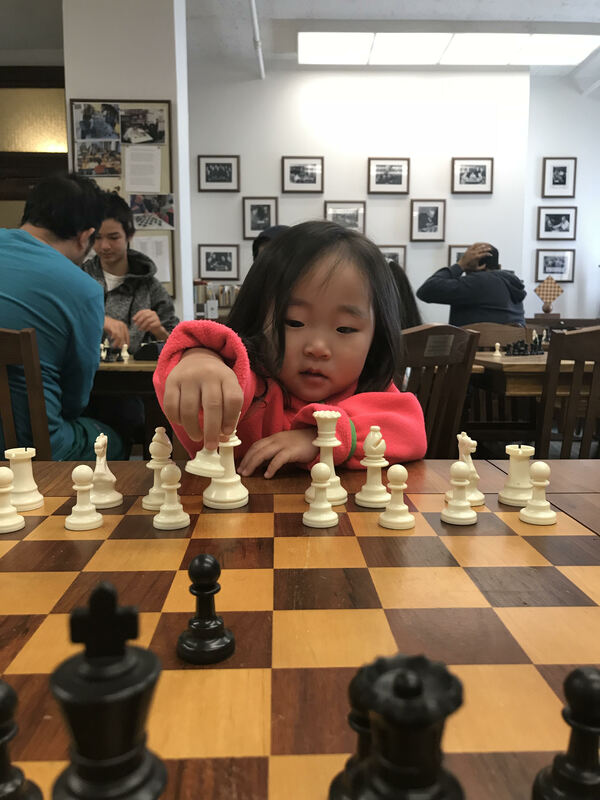 For kids who really desire to improve, I recommend that you spend a few hours a week at home practicing - playing online, doing puzzles, studying tactics, and more.